We're an independent and unbiased encyclopedia on supplementation and nutrition. Examine.com simplifies nutrition and supplementation — through meticulous analysis of the latest scientific research — to help you answer your questions on how to be healthier. Examine.com is the largest database of nutrition and supplement research on the Internet. Founded in early 2011, our mission is to analyze the full body of evidence to help you make healthy choices. As an educational organization, we are not affiliated with any supplement or food company, nor are any members of our research team. All of our evidence summaries are fully referenced, on topics ranging from popular supplements like fish oil and vitamin D to the more controversial nutrition topics like soy or saturated fat. We also take an evidence-based approach to common questions our readers ask, such as the optimum amount of daily protein, and the evidence (or lack thereof) for common nutrition myths and fads such as detoxes. At Examine.com, we’re not here to tell you what to do. Instead, we simply tell you what the evidence says. And in cases where the research is mixed, we make that clear, too. Examine.com is an entirely independent organization, and does not accept any money from outside sources. For the vast majority of nutrition websites, revenue is directly proportional to pageviews or products sold—whether they be supplement bottles or diet plans. Thus, rather than an evenhanded and thorough interpretation of the evidence, for many websites, sensationalism sells (read more on sensationalism). Rather, 100% of our revenue is generated from additional research syntheses that we sell to both health professionals and laypeople. All of the information on the website is freely accessible; these additional informational products are meant for those looking for added depth and step-by-step instructions. We have a very strict no-gift policy for our staff members. Even books that are sent our way are simply deposited into recycling. FastCompany chose us as one of the most innovative companies in health and fitness, and Men’s Fitness named us a game-changer in the world of nutrition. Professionals also turn to us when they need unbiased and trustworthy nutrition info. How and why did Examine.com start? Examine.com is our answer to a fundamental problem: given that nutrition science is incredibly complex and constantly evolving, how can you separate the wheat from the chaff? If a website cites a study, how do you know it’s not cherry-picked or, on the flipside, methodologically flawed? In other words, who can you trust to be completely objective? We decided to address this problem by building a systematic and objective database, free from advertising or industry partnerships. We never start with an objective, like low-carb or high-carb, pro-supplement or anti-supplement. Rather, we simply report on all the evidence that’s been published. For more, see our story. The editors of Examine.com perform the primary job of collating scientific research into a cohesive picture. Kamal Patel is co-founder and director of Examine.com. 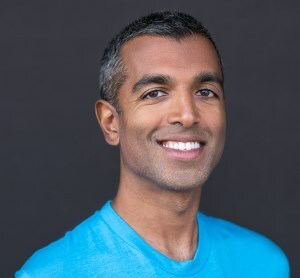 He holds two master’s degrees from the Johns Hopkins University, in business and in public health, and is on hiatus from a PhD in Nutrition for which he’s investigated the link between diet and chronic pain. He’s published peer-reviewed articles on vitamin D and calcium, as well as on a variety of clinical research topics. He’s also been involved in research on fructose and liver health, on nutrition in low income areas, and on mindfulness meditation. Gregory Lopez is editor-in-chief for Examine.com and for our Examine.com Research Digest. He obtained his master’s degree in molecular biophysics from the Johns Hopkins University, and his doctor of pharmacy degree from the University of Maryland, Baltimore. In his spare time, Greg pursues interests in meditation, psychology, philosophy, and swing dancing. Bill Willis, PhD received a Bachelors of Science in Chemistry and PhD in Biomedical Science at Ohio State University. An avid member of the fitness industry for the past score years, Bill Willis is a postdoctoral fellow at the Ohio State University, where he’s researching the role of metabolic stress in the control of protein synthesis and inflammation. Researchers are tasked with poring over primary research and helping collate it. Alex Leaf - a certified sports nutritionist and personal trainer, Alex Leaf holds a master’s degree in Nutrition from Bastyr University. He’s a full-time researcher at Examine.com, involved in updating the supplement database, editing ERD articles, and blogging about nutrition. Alex also teaches young minds about human nutrition and functional medicine at the University of Western States. He enjoys blending the scientific aspects of nutrition with the pragmatic realities of life to help others achieve their goals. Michael Hull - in addition to his work as a researcher for Examine.com, Michael is currently pursuing his master’s degree in human nutrition at McGill University, where he is completing a thesis on correlates of vitamin D status. He recently graduated with a BSc in kinesiology and nutrition from George Mason University, where he mentored under GMU’s resident sports dietitian, Deanna Busteed, MS, RD, CSSD. In his free time, he enjoys finding ways of using technology to further science communication. 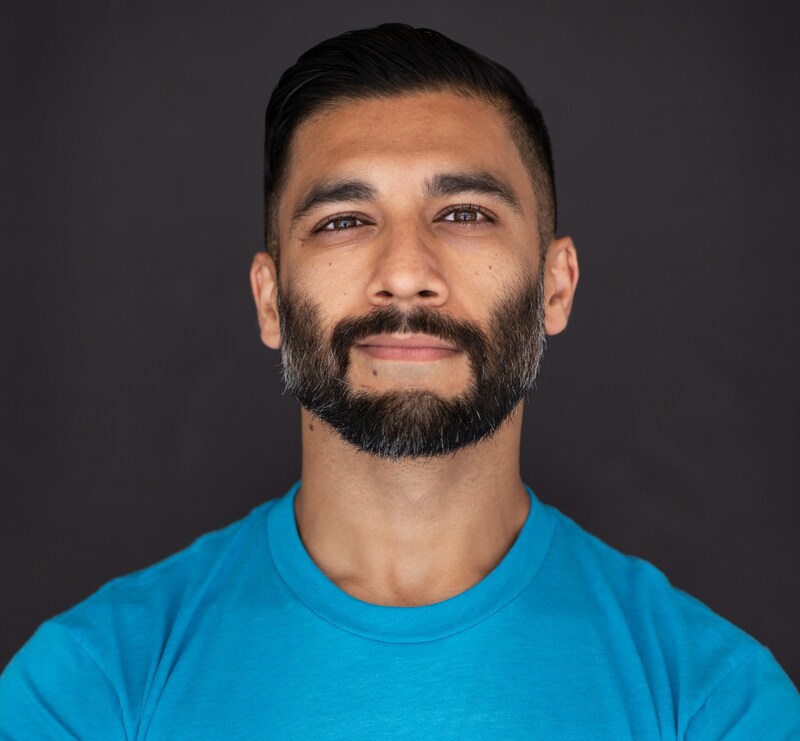 Zad Chow - originally interested in nutrition and health, Zad became interested in research methodology and statistics after realizing there was a lot of controversy in the way studies were designed and data were analyzed. In addition to doing research at Examine.com since 2016, he has done research at NYU Langone Medical Center (where he helped run a clinical trial and helped with population health research) and Weill Cornell Medicine (where he helped with computational genetics research). He holds a bachelor’s degree in neuroscience and plans on pursuing a doctorate in biostatistics. Wyatt Brown - searching for ways to improve his health and frequently confused by the conflicting messages from publications and popular authors, Wyatt dove head first into the scientific research and became fascinated by its logic and methods. Contributing to his most respected website has only intensified his interest and motivated him to pursue an education in nutrition. Reviewers are topical-experts who frequently contributed their expertise and knowledge to help ensure that all information presented on Examine.com is accurate and properly nuanced. Pablo Sanchez Soria , PhD received his doctoral degree in Pharmacology & Toxicology, and his bachelor's degree with a double major in Nutritional Sciences and Microbiology from the University of Arizona. He works as a toxicologist evaluating the relationship between chemical exposures and disease. He has research experience in the fields of cardiovascular and metabolic diseases, as well as virology, and plant biology, bringing with him a unique set of expertise to the team. Pablo enjoys weightlifting and taking part in multiple recreational sports and outdoor activities. While earning his bachelor's degree, he was a competitive cyclist, at the local, regional and national levels. He also enjoys spending time wrenching and tweaking his car to compete in track racing events as the occasional weekend warrior. Cassandra Forsythe, PhD, RD, received her doctorate in kinesiology from the University of Connecticut, and completed her dietetic internship at UMass Amherst, both in 2009. She works as a nutrition educator and weight loss coach and is the author of two popular books for women: "The New Rules of Lifting for Women", co-authored with Lou Schuler and Alwyn Cosgrove, and "Women's Health Perfect Body Diet". She has been featured in Women's Health and Men's Health, and made appearances on The Biggest Loser. She is a Registered Dietitian (RD), certified as a Strength and Conditioning Specialist (CSCS) from the National Strength and Conditioning Association (NSCA), and is a Certified Sports Nutritionist (CISSN) through the International Society of Sports Nutrition (ISSN). Why can you trust Examine.com? When it comes to information on science and health, trust is paramount. There are simply too many studies, too many data points, and too many facets of disease and wellness. It is impossible for one person to parse and make sense of all this information. Yet we don’t want you to trust us just because we tell you to. Trust is earned. We aim to earn your trust by emphasizing objectivity and transparency. Our content is rigorously referenced, and not in the common Internet fashion of citing only the papers that support a given argument. Rather, we cite both sides of important topics, and don’t go beyond what studies actually report (in other words, we don’t overinterpret findings to support a particular viewpoint). We’re able to do this because all of our research staff is required to have no connections to supplement or food companies, and staff members regularly meet to discuss research ethics and study interpretation. We are not gurus, and we don’t pretend to have all the answers. Nobody does - that’s why science is so fun! When it comes to Examine.com, what you see is what you get. Our fundamental truth is that we are 100% independent. Nobody working at Examine.com has any conflict of interest - no questionable funding, no suspect affiliations, and no relationships with manufacturers. All the content is generated by our staff, not outsiders. We are the Switzerland of health and nutrition. Examine.com is an unbiased nutrition and supplement resource. We are not influenced by commercial interests, product manufacturers, or any other organization, and we do not advertise or promote products or brands. Examine.com does not accept donations, third-party funding, or sponsorship of any kind. One hundred percent of our revenue is generated through our three products: the Examine.com Research Digest, A-to-Z Supplement Reference, the Supplement Guides, and our Fitness Guide. And that’s what makes Examine.com so unique and reliable: we only sell information. It doesn’t benefit us to hype up any supplement—that’s not what we’re selling. We’re selling you evidence-based analysis. Nothing more, nothing less. Every statement we make is fully referenced—often many times over. The Examine.com website is comprised of millions of published words, and with over 60,000 unique references, every single claim is cited. Not only that, we let you see the history of our pages as we’ve updated them over the years. Our information is all public so you can double-check any of our work. We do not believe in a “just trust us” mentality - we show our work. One of the biggest issues online is that a single person may be thought to have the solutions to everything about your health. A cult of personality is formed around these gurus. The reality is that your health is incredibly complex; humans are in fact most complex machines on Earth. It is outright impossible for one person to know and have all the solutions. This is why we have a team of diverse backgrounds - to ensure that we traverse the full breadth and depth of health to help you get the truth. If there’s one thing that sets us apart from gurus it’s that we rarely have universal answers. This can, admittedly, be frustrating. But science is incredibly nuanced. Most studies are done on very specific subsets of populations - for example, 20 post-menopausal women who have arthritis. The issue is - how do you take a conclusion from such a group and apply it to the population? This is what makes us reliable - we don’t claim to have the single solution for you. Instead, we simply offer you what the science tells us, and help you make the best decision for you. We have an editorial policy that outlines our approach to creating content and fixing any errors. Carolyn Macdonald Before finding her home at Examine.com, Carolyn started her career in public relations within the beauty and fitness industries. 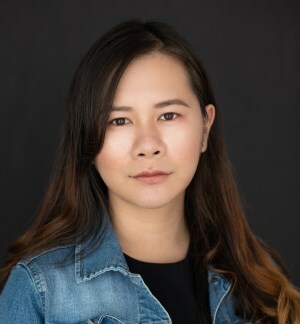 After several years of working with fitness startups and running her own communications boutique in Collingwood, she moved back to Toronto and joined the Examine.com team in 2014. Carolyn studied English and Public Relations. When she’s not busy nagging everyone, she spends her spare time taking pictures of her dog, running, and collecting bourbon. Debbie Young After a career in the beauty industry, Debbie found herself immersed in the world of health and fitness due to a health issue. Blogging and guest blogging led to new friendships, including with Sol and Kamal. She worked in customer support for online health companies but was longing to support real science based on solid research. Examine.com has been the perfect fit as she loves helping out both our incredible team and our customers. When not working away, you can find her walking Malcolm the wonder dog or training for her next 5k race in the wilds of Southern California. In his mid-20s, he opted to retire, freeing up time to do what he wanted, when he wanted. Transforming from fat to fit, he began to investigate the whys and hows behind nutrition, health, and fitness. It was this research that lead to Examine.com, the culmination of thousands of hours of research into anatomy and nutrition. Andre Marcelo-Tanner has been developing and tinkering with websites since 1997. Understanding how important it was to make information accessible, he has a deep understanding on how to present information to a user that is both easy to use but also brings a depth of data. In his free time, Andre likes to run, and when his daughters give him the time, sleep. Dmitri Barvinoki graduated with a bachelor's degree in journalism from Michigan State University. He is passionate about fighting misinformation in media and works to bridge the gap between science writing and journalism. He is a recreational strongman and enjoys pressing heavy objects overhead. Pierre-Alexandre Sicart holds graduate degrees from New York University, the University of Toulouse II, and the University of St Andrews. At NYU, he was MVP then captain of the Taekwondo Club, president of the Karate Club, and founder of the Martial Arts Club. After graduation, he wrote a grammar book, then found himself working as assistant professor of French in Taiwan. After some years enjoying the best foods in Asia, he moved back to France to freelance as writer, translator, and copy editor. He’s Examine.com’s resident copy editor and has been overseeing our Supplement Guides since 2016. We are humbled by the amount of support we've received since our founding. A few individuals have been especially helpful in our continued evolution; these are the people we turn to whenever we have a question that needs answering. Gillian Mandich is finished her doctoral studies at Western University in Health and Rehabilitation Science with the International Centre for Health Innovation Research at the Richard Ivey School of Business. Gillian Mandich's research examined health promotion, specifically physical activity, childhood obesity, nutrition, sustainable happiness, and diabetes. Prior to her PhD studies, Gillian worked in public health at the Middlesex-London Health Unit and received her Master's degree from Western University. 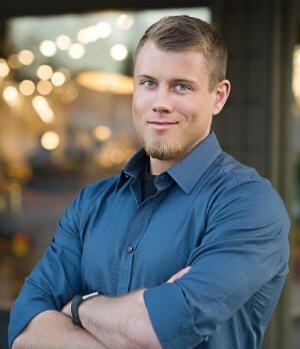 Tavis Piattoly , MS, RD, LDN is co-founder and Director of Sports Nutrition education for My Sports Dietitian , an online sports nutrition education company that helps High School and College Athletes through the guidance of a Licensed Sports Dietitian. He is the Sports Dietitian and Nutrition Consultant for Tulane University Athletic Department, Tulane Institute of Sports Medicine’s NFL Players Association Brain and Body program, Fairchild Sports Performance in Houston, and Traction Center for Sports Excellence. He was the Sports Dietitian for the New Orleans Saints from 2006-2013 and New Orleans Pelicans from 2008-2013. He’s been fortunate to work with training expert Mackie Shilstone and designed the nutrition programs for boxing champions Bernard Hopkins and Roy Jones Jr. along with working with Olympic, NFL, MLB, and NBA athletes to various college and high school programs. Bryan Chung, MD, PhD is the founder of the blog Evidence-Based Fitness. After obtaining his MSc from McGill University in Rehabilitation Science in Biomechanics, he went on to earn his PhD at the Sport Medicine Centre at the University of Calgary, focusing on research methods and biostatistics in musculoskeletal health, followed by his MD, also at the University of Calgary. He completed his residency training in Plastic Surgery at Dalhousie University in Nova Scotia and his fellowship in Hand Surgery at NYU. He is currently in practice as a plastic and reconstructive surgeon. Bryan is a research methodologist who has won research awards at both international sport medicine and plastic surgery meetings. He sits on the editorial board for the Clinical Journal of Sport Medicine and is a peer-reviewer for several journals, as well as the Cochrane Collaboration , which publishes the Cochrane Database of Systematic Reviews. Brad Pilon, MSc is one of the world's most sought after intermittent fasting advocates. His book Eat Stop Eat continues to be one of the best selling books on intermittent fasting on the internet. He received his Bachelor of Science in Applied Human Nutrition and his master's degree in Human Biology and Nutritional Science, where his main area of interest was the effect of short periods of fasting on human metabolism. His book Eat Stop Eat is the result of this research. Brad has also spent over 7 years working in Research and Development in the sports supplement industry. During this time he helped design multiple clinical trials and create dozens of popular bodybuilding supplements, and is listed as an author on multiple patents involving methods to increase muscle mass and decrease body fat. Through appearing on national television, speaking at national scientific conferences and his book Eat Stop Eat, Brad has helped millions of people become aware of the amazing health benefits that can be achieved by simply taking an occasional break from eating and by taking a practical approach to nutrition and exercise. Lou Schuler is a National Magazine Award-winning journalist and author whose books include, most recently, The New Rules of Lifting Supercharged , with Alwyn Cosgrove. Currently a contributing editor to Men's Health magazine, he's worked as fitness editor for both Men's Fitness and Men's Health , and contributed to a long list of magazines, including Shape , Men's Journal , Better Homes & Gardens , Fit Pregnancy , and Women's Health . In addition to the New Rules of Lifting books, he's author or coauthor of The Testosterone Advantage Plan , Home Workout Bible , Book of Muscle , and the upcoming Eat, Move, Live , with Wolfgang Puck and Chad Waterbury. Emma-Leigh Synnott, PhD 's research spans the fields of machine learning, bioinformatics, biological engineering, and biostatistics. He has authored over 30 peer reviewed scientific articles. Dr. Woolf received his PhD in chemical engineering from the University of Michigan, followed by postdoctoral work in developmental biology and biological engineering at Harvard University and the Massachusetts Institute of Technology. Dr. Woolf was a faculty member in chemical and bioengineering at the University of Michigan, Ann Arbor, until in 2010 he left to found two companies, Foodwiki and ExtraorDNA. Peter J. Woolf PhD 's research spans the fields of machine learning, bioinformatics, biological engineering, and biostatistics. He has authored over 30 peer reviewed scientific articles. Dr. Woolf received his PhD in chemical engineering from the University of Michigan, followed by postdoctoral work in developmental biology and biological engineering at Harvard University and the Massachusetts Institute of Technology. Dr. Woolf was a faculty member in chemical and bioengineering at the University of Michigan, Ann Arbor, until in 2010 he left to found two companies, Foodwiki and ExtraorDNA.